Disclosure: I have not been paid or incentivised in any way for this review of the Beach House cafe. But we have been going here at least once a year for a very long time now, and so it warrants a review! All views absolutely my own. The Beach House cafe is set in one of the most glorious locations you could imagine, well away from the hustle and bustle of daily life. 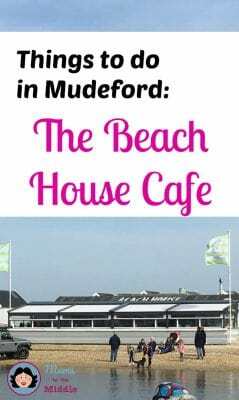 It is set on Mudeford Sandspit, near Christchurch, just down the road from Bournemouth. 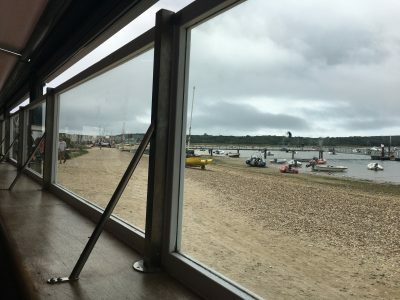 The nearest car park is over a mile away – access to the Beach House, is by Land train from Hengistbury Head (or by walking 1 1/2 miles through the nature reserve), or by ferry from Mudeford or Christchurch. Of course if you are posh you can rock up in your own boat, and if you are really posh (like some people we saw when we were there last) you can drive up onto the beach in your own amphibious vehicle…but that’s another story…..
Can you feel the relaxation? 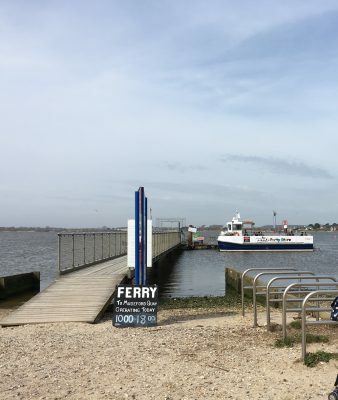 From our wonderful holiday home Meridies Lodge, it takes about 20 minutes door to door – 5 minutes to walk to Mudeford quay and 10 minutes on the ferry. By the time we get there we are already seriously chilled, as the mode of transport brings a smile to your face and beats any car journey. 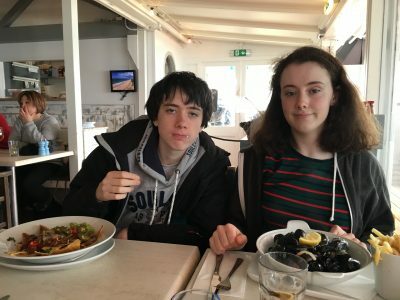 The Beach House Cafe has a captive audience of people staying in the most exclusive beach huts in the UK. So it would probably thrive even if the food wasn’t any good. 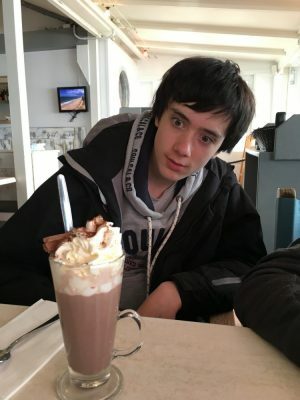 But, I have to say, the food is absolutely excellent and there is something to suit most tastes, including a good choice of children’s menu and some foods for specialist diets. The cafe serves a lot of fish and seafood, much of it locally caught,.but there are plenty of choices for people who don’t like fish, and indeed for vegetarians and vegans. Portion sizes are medium to large – add a dessert and it’s more than enough! If you don’t fancy a full meal they also do a great selection of teas, coffees hot chocolate and alcoholic drinks too. The atmosphere is great – very casual decor with gentle jazz covers of popular music playing gently in the background. And even on a grotty day, the view from the window is fantastic. On a fine day, there is a large open air eating area, which is still protected from wind and sand by a large glass screen. When its a bit more cloudy (like this photo) a large canopy covers the area too, but even though you have a ‘roof’ and glass walls, it still feels like you are eating outside. 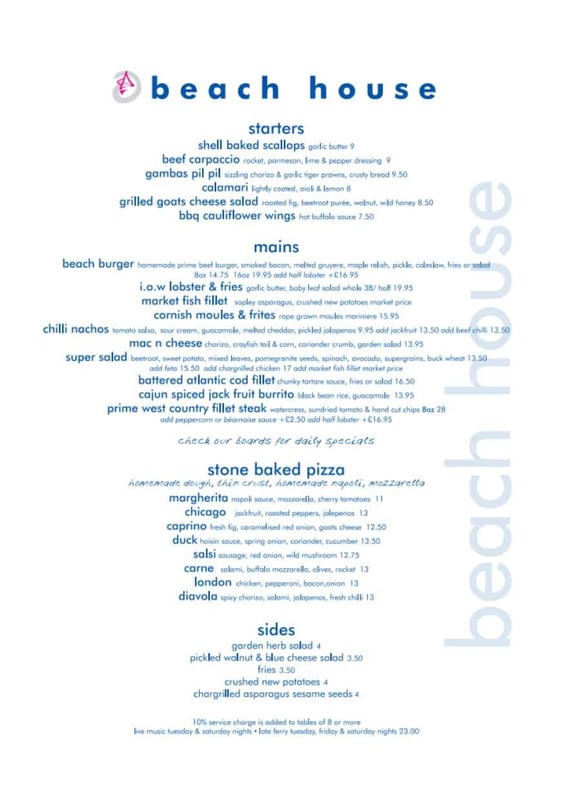 So all in all for us, the Beach House ticks all the boxes; amazing location, great atmosphere and good food and drink. 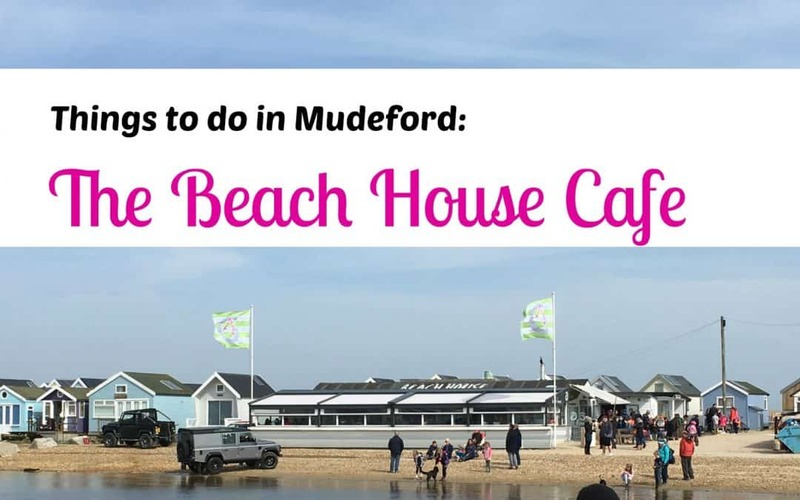 We go at least once every time we come to Mudeford, because it is just lovely and a real treat for us. The service is excellent too. The only bugbear I have is it does get busy. If you are going in peak season or at weekends make sure you ring ahead and book, because if you arrive on spec and find that they are full, the nearest alternative eatery is literally miles away. 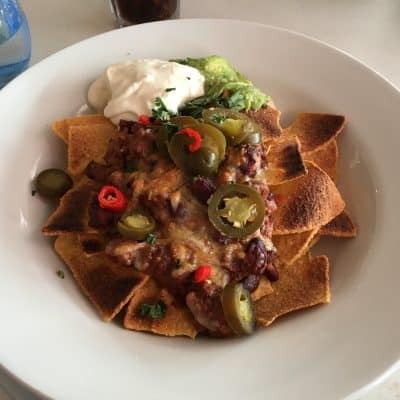 I was also a bit cross with them when they took the nachos off the menu last year, but it seems I wasn’t the only one, as they came right back in 2018! Please pin this and show some love!